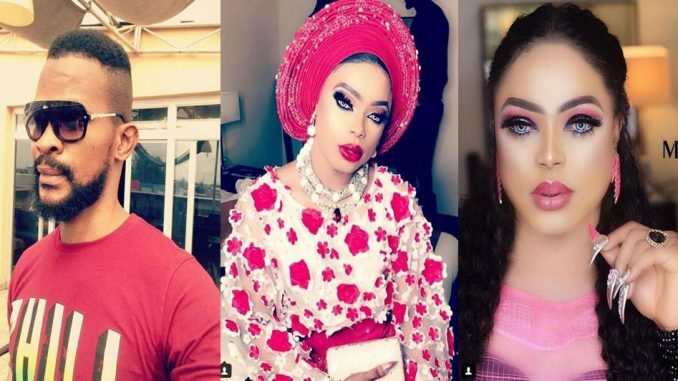 Controversial Nollywood actor and social media critic Uche Maduagwu has yet again slammed Okuneye Idris Olarenwaju, popularly known as Bobrisky over his REAL GENDER. In the beginning, God created ADAM and EVE, not Adam and @bobrisky222 So when did we get to this point in #Nigeria that we now accept this LUNACY and foolery? 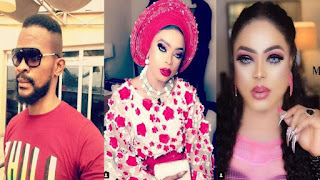 @bobrisky222 Your “THREAT” on my person is now before The Nigerian Police Force, so you can only Run, but you can’t hide, I’m not your mate in any level, when you’re ARRESTED by the Nigerian POLICE over the “threat” you made via your social media handle, you’ll also provide that evening class TEACHER who helped you compose that wonderful threat post, because i know you’re an extraordinary illiterate who can’t even write “Original Copy received by me” without proper guidance. Some people often say “its his/her life”, “let him be”, but before we know it, thousands of innocent youths in Nigeria will start this abnormal behavior, where #Boys would start wearing “bra and pant” and kissing their fellow boys in the open, I’m sure some people would say God forbid, my dear, how can God forbid such when right now, so many people are supporting @bobrisky222 over his nonsense #lifestyle, this is how it all starts, before you know it, our kids would start making @bobrisky222 their ROLE model, and that’s it, we ruin an entire generation. Is the #BIBLE or HOLY Quran in support of this nonsense attitude from @bobrisky222 So why are we supporting him and giving him HOPE?